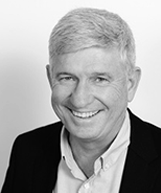 David is well known in the internet/communications industry both in Australia and New Zealand. He has been involved in over 20 internet-related businesses as Chairman, CEO, Director, major shareholder or advisor. He launched Australia’s first search engine ANZWERS in early 1997 and was first to market in Australia with consumer broadband satellite services in 2001 under the name of Access1. David was COO, and then CEO, of Ozemail, which was the largest ISP in Australia in the 1990s before it was sold to Verizon Business. He pioneered wireless broadband in Australia as CEO of Unwired Limited, was previously Chairman of Vocus Communications (ASX:VOC), one of Australia’s largest and fastest growing telecommunication companies, and was Chairman of the Internet Industry Association. He is currently Chairman of PayPal Australia and Discovery Ag, and Non Executive Director of Netcomm Wireless Limited.